Irv retired eight years ago and sold the business to Henry. “I told him, ‘It’s a Hispanic area now. Do you want to change the name?’” he recalls. “Henry said, ‘Are you crazy? 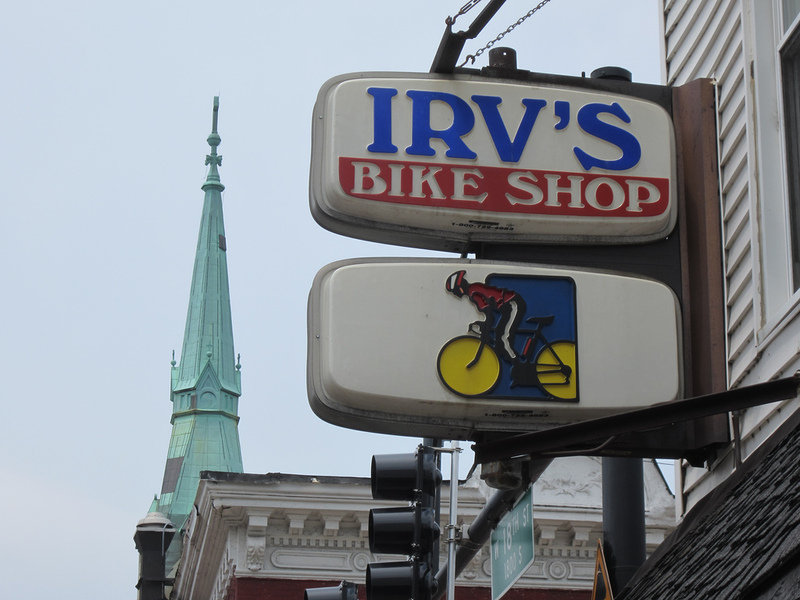 Everyone knows Irv’s.’” Rout still owns the building and drives in from time-to-time to visit, and he has willed the building to the current owner. “I’m leaving it in good hands because Henry is really honest and trustworthy,” Irv says. Last month I dropped by on a hot Sunday morning to hang out for a few hours. 18th Street is quiet as I pedal by Catholic churches, Mexican restaurants, Spanish-language bookstores and Latin music shops, as well as newer businesses like Honky Tonk BBQ, reflecting a recent influx of Anglos to the neighborhood. After Veronica and Ricardo greet me I check out the two small showrooms. There’s a rainbow of road-bike tires hanging from the ceiling of the back room and several different models of affordable fixed-gear bikes are for sale, including one with a white frame and apple-green grips, saddle, tires and chain. As a nod to the neighborhood’s long-time demographics, the shop stocks skullcaps, suitable for wearing under a helmet, featuring the eagle-and-snake emblem from the Mexican flag with an Aztec codice in the background. A bit later Art arrives, groggy from the all-night ride. A young woman in cutoffs with a long black braid comes in and asks him to re-tape the handlebars of her Schwinn Varsity, followed by a father with his two little sons and tricycle that needs to be repaired. “You got any money, Daddy?” one of the boys asks. “Of course I don’t,” he replies. “Now please don’t touch anything or knock anything off the walls.” One of the kids runs behind the counter. “If you come behind here I get to keep you,” teases Veronica. In the mid-afternoon a downpour starts. During the lull, Ricardo takes out a photo collage he created in tribute to Irv’s wife Violet, who passed away recently after fifty-seven years of marriage. 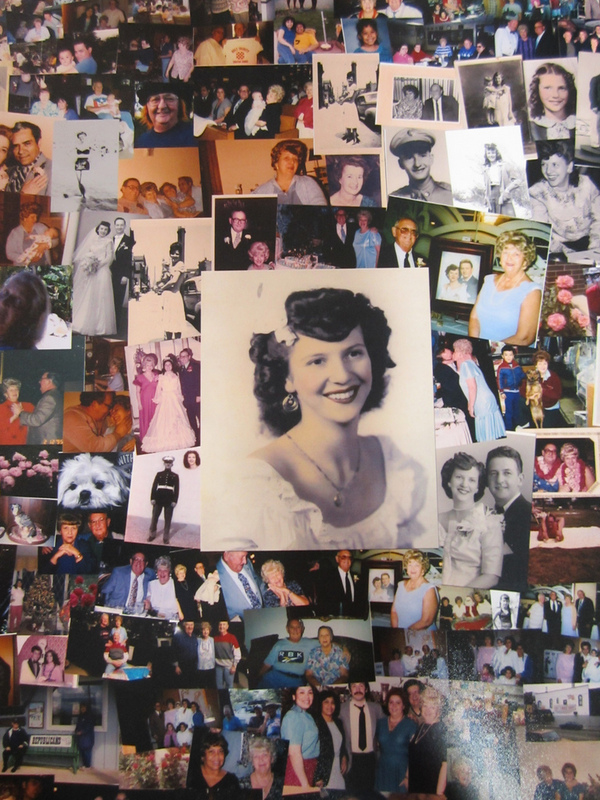 A portrait of Violet as a beautiful young woman is surrounded by images of their life together, including Irv in his Marine uniform, extended family and bike shop staffers. The young employees served as her pallbearers. 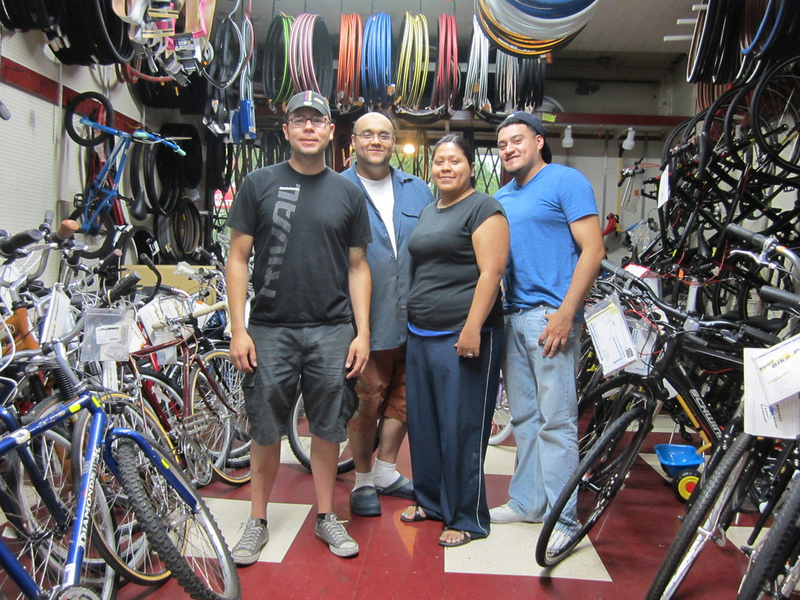 Irv’s Bike Shop, 1725 South Racine, (312)226-6330, irvsbikeshop.com. Tour de Fat New Belgium Brewing’s annual bicycle and beer fest features a parade, freak bike corral and bands like Los Amigos Invisibles and Mucca Pazza. Proceeds benefit West Town Bikes cycling education center. Saturday, July 21, Palmer Square, Kedzie Boulevard and Palmer Boulevard, tinyurl.com/tdfchicago, 9am-4pm; free. Breakfast Ride The Chicago Cycling Club leads a twenty-five-mile spin, winding up at Bleeding Heart Bakery in West Town for a “Punk rock Brunch.” Sunday, July 22, Waveland Clock Tower, 3701 North Recreation, (773)442-2549, chicagocyclingclub.org, 8am-12pm; free. Andersonville Pub Crawl This Chicago Architecture Foundation walking tour explores the neighborhood’s Scandinavian origins and Chicago’s brewing history, including stops at a “haunted” tavern and one of the city’s best beer bars. Sunday, July 22, Edgewater Lounge, 5600 North Ashland, architecture.org, 2:30pm-5pm; $15. The Underwear Mass This month’s Critical Mass bike parade/protest should be scorching hot, so there’s a proposal for participants to pedal in their skivvies “in support of positive body image and gender equality.” Friday, July 27, Daley Plaza, 50 West Washington, tinyurl.com/underwearmass, 5pm; free. Ride to Pierogi Fest Take a relaxed bike ride along the Lakefront Trail and Burnham Greenway to Hammond Indiana to dine on dumplings, dance to polka music and drink in the shady beer garden. Saturday, July 28, Buckingham Fountain, Columbus and Balbo, tinyurl.com/pierogifest, 10am-6pm; free. Bike to the Beach Bash This lakeside concert with Ra Ra Riot, Bestfriends and California Wives benefits Blackstone Bicycle Works, a nonprofit cycle shop, and features free valet bike parking. Friday, July 27, The Dock at Montrose Beach, 200 West Montrose, tinyurl.com/bttbbash, 4pm-10pm; $14.